I find I get a cleaner sale fleece by doing my own shearing. 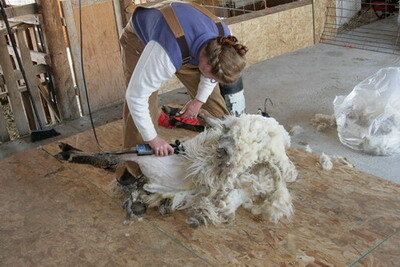 I only do 3-4 animals per day and each fleece is heavily skirted right where it comes off. This keeps any undesirable stuff from ever mixing with the good stuff.